The Early Childhood School (Cub Academy-Kindergarten) is where it all begins at Pulaski Academy! It is a warm and happy place where each day is designed to provide the foundation for success in PA’s college preparatory curriculum. 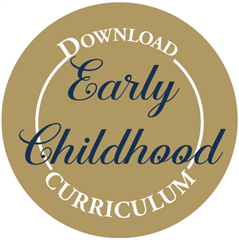 The focus of our program offering is a Reggio Emilia inspired curriculum that provides opportunities for early childhood students to increase their critical thinking skills in every aspect of our program throughout the day. Our program includes regularly scheduled integrated studies which include Spanish, music, art, physical education/movement, library, and STEAM, each taught by teachers that are specifically trained in these disciplines. 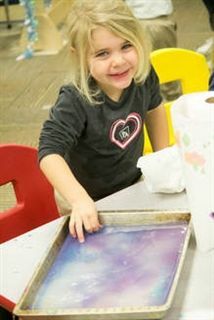 Students visit our STEAM Lab where subjects are approached using sensory and practical techniques, which allow for a fun, engaging and age-appropriate experience. Cub – 3-year-olds attend once a week and 4-year-olds- Kindergarteners attend twice a week. Each Cub – Kindergarten classroom has a lead teacher and assistant teacher, which allows for a low student/teacher ratio and time for individualized attention. Our teachers complete quarterly individualized assessments to inform developmental progress of each student. We highly value our close working relationships with our families. This partnership is fostered through ongoing, personal communication as well as multiple conferences each year. Collaborative grade level teaching teams work together to build continuity and wide perspective in planning curriculum and programming. Ongoing faculty professional development ensuring relevant and timely best practice application of research-based teaching strategies and curriculum development. Specialized learning support guided by expert faculty for students needing specified learning accommodations. We thoroughly enjoy being a part of the larger school community. The ECS participate in fun and engaging activities such as pep rallies, author visits, plays, concerts, senior brothers and sisters and more! Southern Arkansas University - B.Ed. Southern Arkansas University - M.Ed. University of Arkansas Fayetteville - B.S.E. University of Arkansas Fayetteville - M.A.T.